← What to stash this week: Survey time! 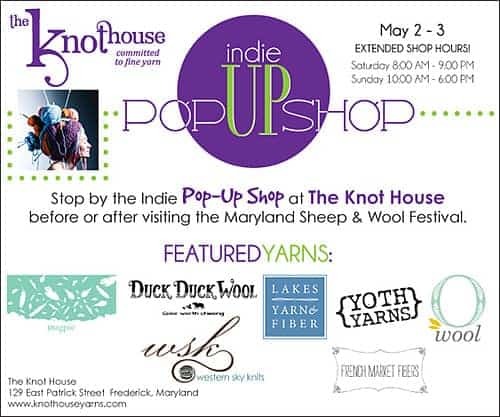 Throughout the weekend, they will be holding an indie dyer pop-up, chock full of Indie Untangled artisans, including Duck Duck Wool, French Market Fibers, Lakes Yarn and Fiber, Magpie Fibers and Western Sky Knits, as well as O-Wool and YOTH Yarns, which I am really excited to check out. The idea is similar to what prompted me to organize last year’s Rhinebeck Trunk Show: “So many people come from all over for the MSWF, so we thought we would also showcase some new, popular artists that will not be at the festival,” Heather says. 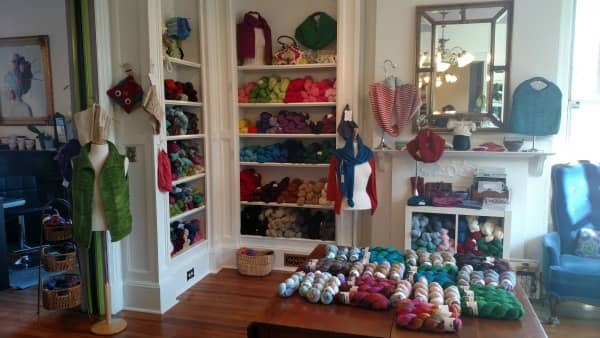 Some of the dyers, such as Sandra Miracle of DDW, Dami Hunter of Magpie (who learned to knit at The Knot House and debuted her line there in December), Jocelyn Tunney of O-Wool and Veronica and Danny of YOTH, will be at shop at various times throughout the weekend. That Saturday also happens to be downtown Frederick’s First Saturday, so the shops will be open late and there will likely be entertainment on the streets. A great way to cap off a day at the fairgrounds! Over the last few years, I’ve ended up missing the festival for one reason or the other (last year it was because my parents had gotten my husband and I tickets to see the Broadway revival of Cabaret, which was a pretty good reason). This year, however, I put it on my calendar and I’m really excited for my first MDSW. I’m also kind of glad I waited. The pop-up runs on Friday, May 1, from 5 to 8 p.m.; Saturday, May 2, from 8 a.m. to 9 p.m.; and Sunday, May 3, from 10 a.m. to 6 p.m. Perhaps I’ll see you there? 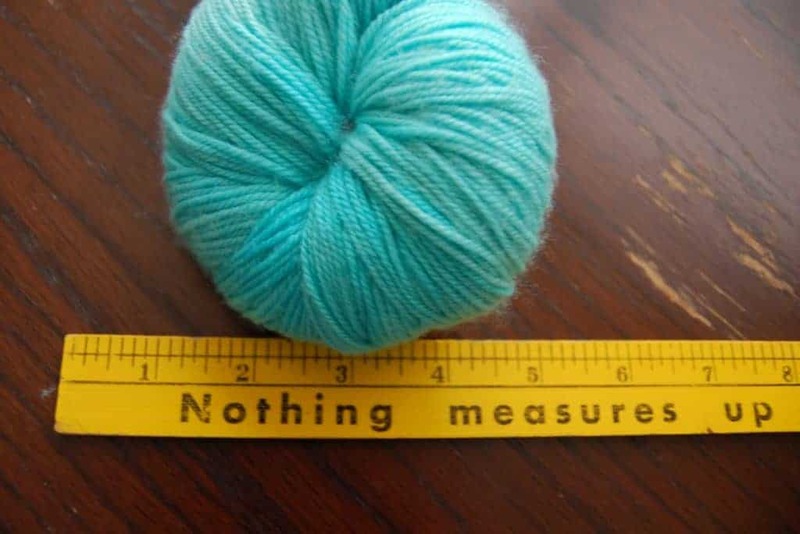 This entry was posted in Events and tagged indies, MDSW, yarn.